You are condemned to be free. And yet, you’re living an unfree, inauthentic life. Let Jean-Paul Sartre explain that to you. Who Should Read “Being and Nothingness”? And Why? In the years following the Second World War, Being and Nothingness was all the young intellectuals of the world talked about; for all its apparent nihilism, somehow, this book spoke to them volumes about how one can redesign himself to exert his freedom to a fuller extent. And this was more than necessary when it seemed as if the world had lost all of its meaning. One fights fire with fire, and the students of post-war Europe fought meaninglessness with a philosophical book which explains its paradoxical origins. 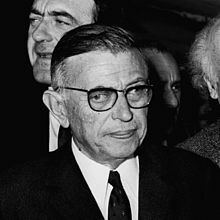 Due to Sartre’s leftist inclinations, by the end of the 20th century, he fell out of favor in the minds of many; however, since somehow, we’ve fallen back again in a state of desperation, Sartre can sound surprisingly contemporary. If you are a philosopher, you know that this book is a must; if you are not, but you’re feeling kind of depressed about everything that’s going on in your life, we feel that this is a book which can both understand you and help you introduce some meaning in it. 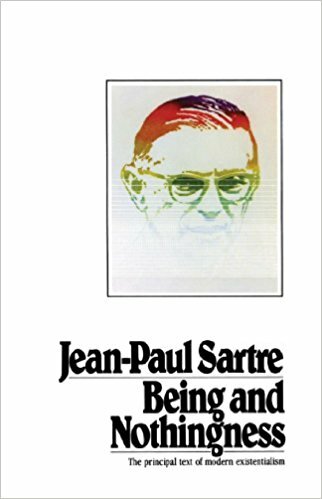 With that being said, be wary: Sartre’s Being and Nothingness is a critique of Kant and a further exploration of Heidegger’s Being and Time with an antireligious Kierkegaardian flavor. And yes – it’s as complicated to grasp as the sentence preceding this one; so maybe it is smart to read our summary – and especially the Key Lessons section – to understand better what’s going on before embarking on actually reading Being and Nothingness. Or you can just watch The Good Place – which is much inspired by Sartre’s works and ideas. was a French philosopher, writer, literary critic, and political activist. He is widely considered to have been one of the pivotal thinkers of the 20th century. As a philosopher, he was a leading proponent of existentialism, an intellectual movement which stressed freedom and authenticity as the primary values and virtues of human existence. As a political activist, he was perhaps the most influential thinker of the Left for the better part of his life. He was also famous for his open relationship with fellow existentialist philosopher and noted feminist Simone de Beauvoir, which lasted from his early twenties to end of his life, at 74. His major works include: Nausea and the unfinished tetralogy The Roads to Freedom (novels); The Wall (short story collection); No Exit and The Flies (plays); Being and Nothingness and Critique of Dialectical Reason (philosophical books); “Existentialism Is a Humanism” and the ten-volume series Situations (essays). Which, basically, means that it is a book which discusses the being (ontology) in relation to the structures of our consciousness and the ways they help us experience and perceive the phenomena of the world around us (phenomenology). Don’t worry – by the end of this summary, you should understand what that sentence means a little better. Now, Sartre had studied Edmund Husserl’s phenomenological philosophy while in Berlin in the 1930s, and in the “Introduction” to Being and Nothingness he credits it with one of the most significant advances in modern philosophy. Namely, the negation of dualistic thinking inherent in the philosophy of, say, Immanuel Kant. You see, for Kant, there were not only objects existent in the world around us (phenomena, things), but also some intrinsic features which define these objects (noumena, things-in-themselves). In a nutshell, the phenomenon is everything we can ever know about the noumenon. Even if a stone has a soul, which is more than the sum of its geological history and molecular structure, human sensation has such limits which prevent it from perceiving this. In a sentence, Kant believed that there may be a noumenal world out there, but that it is entirely unknowable through our senses. An event may have a meaning beyond the one we experience it at the moment, but there’s no way to recognize this meaning. Because, for phenomenologists, the noumenon is something we should simply not bother with. The appearance of a thing (phenomenon) is the thing-in-itself (for Kant, noumenon) – and that’s where the discussion ends. But it’s also where a new dualistic discussion should begin. This one involves the concepts of Being-in-itself (être-en-soi) and Being-for-itself (être-pour-soi). Being-in-itself is the unconscious being, a mode of existence which simply is. It is neither active nor passive (after all it’s unconscious) and, thus, lacks the ability to change the very essence of its being. A rose is a rose is a rose – noted once Gertrude Stein. And that is because a rose cannot be anything else but a rose, no matter how hard it tries; it doesn’t know that it’s a rose – it merely grows into one. This is the absolute, almost godlike state of existence: a rose has an unchanging identity, and it isn’t capable of turning into a lily in the midst of its growth cycle. Being-for-itself, on the other hand, is the conscious, nondetermined state of existence. In a way, this is what makes us humans: we actively participate in the creation of our own being. We can study to become scientists, realize that we like poetry halfway through, become musicians instead and end up playing football in our free time. We are not destined to become something: we are capable of creating our being for ourselves. Hold your horses, says Sartre. A paradoxical problem lies at the very heart of our mode of being. And here’s the gist of it. If you understood the part above well enough, you already know that, unlike a rose (thing-in-itself), a person (thing-for-itself) lacks an essence; true, a rose has its essence finalized before it’s even born, but a person has nothing to start with. And this nothing sounds as scary as it does. It is the being-for-itself (humans) which introduces nothingness to this world. If there was no conscious mode of being – aka no things-for-themselves (once again, humans) – then this world would have been finalized, and everything would have been just as it is. It is difficult to say that, in this case, the world would have made some sense; but that’s the point: it wouldn’t have had the burden of making sense to anyone because there would have been no one to perceive it. However, we perceive the absoluteness of the beings-in-themselves and the lack of it in our mode of being. And though we can be anything we want to be, we try to become one, final thing. That is, we try to give our lives meanings which are final and absolute. When they asked you as a child “what do you want to become when you grow old?” they’ve actually asked you how do you want to finalize your for-itself existence into an in-itself mode of being. Let’s try to sum this up – and maybe simplify it a bit. So, from the moment you are born (aka “thrown into being”), you are free to become whatever you want to become. However, your freedom is a burden. You can be anything you want to be, says Sartre; and, strangely enough, that’s the problem. 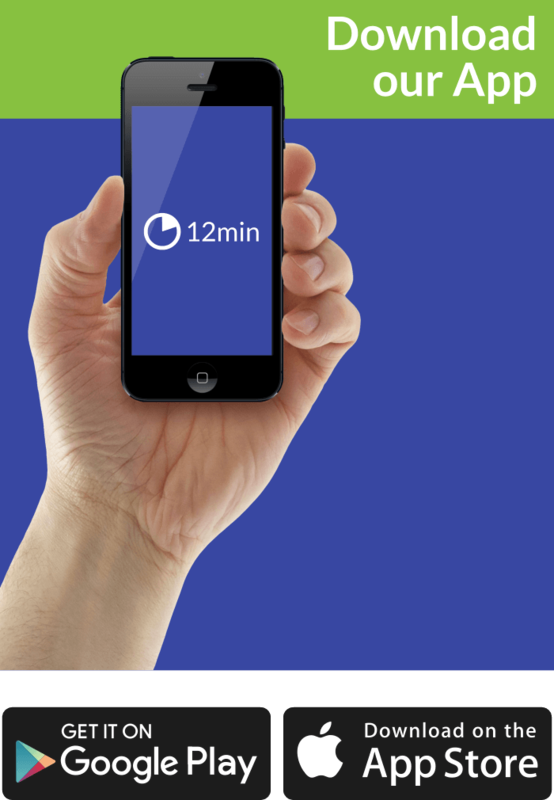 It’s like running a race in a vast desert, and you have to invent the checkpoints yourself. Man is condemned to be free. Condemned, because he did not create himself, yet is nevertheless at liberty, and from the moment that he is thrown into this world he is responsible for everything he does. This responsibility comes from the fact that, unlike for a rose, for humans, existence precedes essence. We are defined not by what we are (essence), but by what we do (existence). A paper cutter is a paper cutter because it cuts paper; however, there is no definition of what a man should be that precedes the existence of any man. So, everything you do, each and every one of your actions, reveals what you think a human being is and should be. This is, once again, scary. Since being-for-itself is scary, we want to pin our freedom down to a state of being-in-itself. But even more than that, we want to do the same for others. It is impossible to comprehend a being-for-itself: you can’t pigeonhole someone who is free to do whatever he wants at any moment. We want predictable things. So, we conveniently ask the Other to become something less than a For-itself – namely, In-itself. And, he does do that. It is the gaze of the others which cages us and denies us our authentic lives – whatever this latter thing means. The central concepts of Sartre’s philosophy are the being-in-itself and the being-for-itself. Being-in-itself is a state of absolute, fully realized, and self-contained being. This is a mode of existence that simply is. A tree is a thing-in-itself because it will forever be a tree, no matter what; its being is finalized by its very nature. Being-for-itself, however, is the mode of existence in which all humans are thrown into because of their consciousness and their ability to make choices. Even though a tree cannot choose to become a rose, a man can choose to become a teacher or a scientist. Interestingly enough, even though he is free to do whatever he wants, a man willfully tries to limit his existence to a state of being-in-itself, mostly because of social pressures. This is what being-for-others means: you become what the conventions expect you to become. The interesting part is that the conventions are what’s helping you to live through the dread and anxiety of your freedom to become anything else. You constantly invent yourself excuses that you can’t do this or do that because of that or this. The truth is – you can. Because you have a choice to do whatever you want, and because there’s no blueprint, no definition what it means to be a man, every choice you make is your contribution to the definition of what it means to be a human. As far as trees are concerned, their essence precedes their existence – they are what they are, not what they do; even if a tree doesn’t bear fruits or is cut down after sprouting, it will still be a tree. However, men are defined by what they do, and not by what they are; you can say that you are a poet, but unless you’ve written a few poems, you’re not. In Sartre’s mind, the problem with our modern existence is relatively simple: we convince ourselves that we can’t be more than what we are. It is because of this bad faith that we become functions of ourselves instead of living, breathing human beings. Sartre uses the example of a waiter who practically acts out other people’s idea of a waiter – even though he is free to be much more than it. Whatever you do and wherever you are – you can do that too. You invent your being with every step you take. That means that you are responsible for what you’ve become and what you’ll become. So, stop living the way other people expect you to live. There’s something in the philosophical basis of Being and Nothingness which we continue to find very interesting and thought-provoking. Dostoevsky might have thought that in a godless universe everything is allowed; Sartre says that it is not because of the other people; and, interestingly, that, in a way, this is the problem. Hopefully, you’ll be able to see behind the nihilistic veil of this argument.